Two young men stand on open area with arms around one another at Rohwer concentration camp, Rohwer, Arkansas, 1942-1945. Man on L wears deeply cuffed jeans and a short-sleeved shirt under a dark sweater vest. 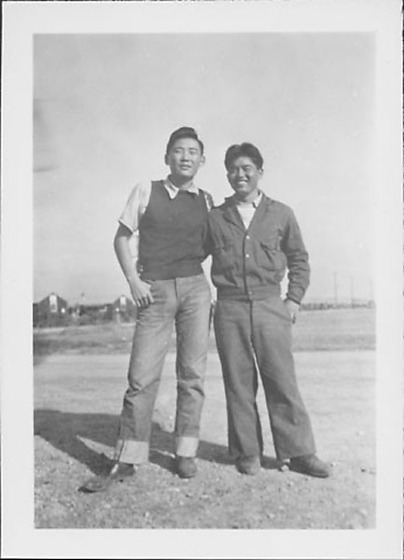 Shorter man on R wears a jacket over sweater and shirt with pants. Barracks in background.